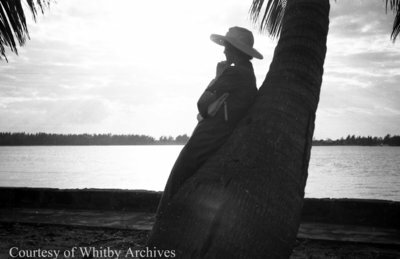 A black and white negative of Billie leaning against a palm tree in Florida. In the distance is a body of water lined by trees. Billie is facing away from the photographer. Billie in Florida, 1938, Marjorie Ruddy. Whitby Archives A2013_040_791B.